Growing attention for Landana Cheese in North America. Over the last months Landana Cheese has been in the spotlights in the U.S. and Canada on several occasions. Of course we have been busy promoting Landana at trade fairs, like IDDBA (New Orleans) and the Fancy Food Shows (San Francisco and Washington, DC) and many retailer's and distributor's holiday shows, where visitors had the chance to experience the delicious varieties of Landana Cheese. In addition, Landana has received extra attention through store presentations, awards, “live demo’s” and a contest. Most recent, during the month November, the Calgary Co-op supermarkets in Canada have appointed Landana 1000 DAYS and Landana Goat cheese spread MILD as Cheese of the Month. To highlight these cheeses, there were widespread displays of the products, promotional signs and a magazine advertisement throughout the entire month. In the USA, West Seattle Thriftway in Seattle, Washington held a “live demo” of Landana goat cheese OLD last August. Cheese lovers received information about this variety and the Landana brand. Of course there was also the opportunity to taste this remarkable award-winning cheese. During the months October and November there was a Landana 1000 DAYS contest held by the US-importer. Residents of the US could enter through the special website www.Landana1000Days.com to get a discount coupon and a chance to win an exclusive trip to Holland! Participating retailers promoted this competition through various promotional materials, including QR codes on shelf talkers. The winner will be announced on Landana’s Facebook page www.Facebook.com/Landanacheese at the end of December. These and other developments make us confident that Landana will continue to grow in 2013 by even more intensive sales promotions and support. 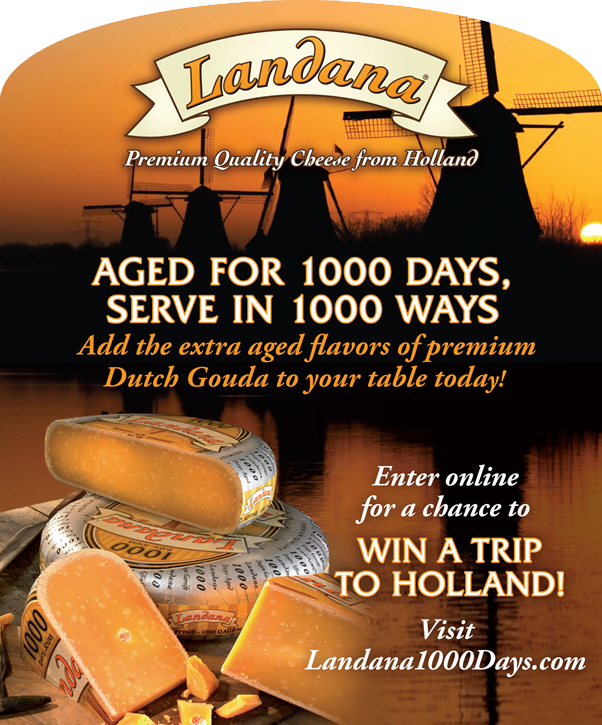 Win a trip to Holland with Landana® 1000 DAYS AGED GOUDA! Attention to all residents of the 50 United States of America and the District of Columbia! 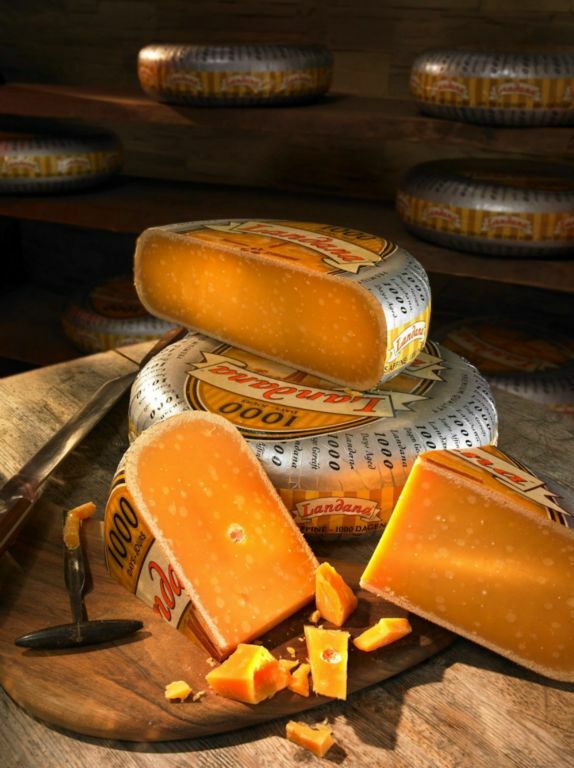 This October and November Landana cheese lovers have the chance to win a trip to Holland. Every contestant will receive a $0.75 off coupon for the Dutch cheese specialty Landana 1000 DAYS AGED GOUDA and get the chance to go on an exclusive trip to Holland, with an Approximate Retail Value of $5,000! In-store shelf talkers featuring a coupon can be found at participating retailers throughout the contest. 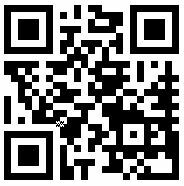 American residents can enter the competition by scanning the additional QR code on this coupon with their smart phones, or go directly to www.Landana1000Days.com. The winner will be announced on Landana’s Facebook page www.Facebook.com/Landanacheese at the end of December. During the SIAL trade fair in Paris from October 21-25, Landana Cheese will introduce new cheese varieties at stand J 025 in hall 7. The traditional Dutch cheese specialties range of Landana, available in all kinds of flavors, has two new products to be introduced at SIAL. Landana Goat cheese HONEY & THYME is one of these newcomers. Incredible harmony arises when sweet honey meets thyme in a delicious combination of 100% pure, Dutch goat milk! Then, to add an extra kick to the Landana range, there is a new variety Landana WASABI & SEAWEED! The continued success of the current variety Landana WASABI asked for an even spicier variety blended with the light sweetness of seaweed. To see and taste the complete range of Landana cheese specialties visit us at stand 7 J 025 in Paris. The winner of the Golden Cheese Knife visits Landana at the InterMopro trade fair. Mrs. Luerweg from Edeka Zurheide (and winner of the Golden Cheese Knife 2012) visited the Landana booth during the InterMopro trade fair in Düsseldorf, Germany. During her visit Paul Mus, Account Manager at Vandersterre Groep, informed her about the new Landana varieties Landana WASABI & SEAWEED and Landana Goat cheese HONEY & THYME. Of course Mrs. Luerweg couldn’t leave without trying the unique taste of Landana, just like many other visitors did during the InterMopro 2012. Landana Sheep Cheese MILD is the lucky winner of the gold medal at the World Dairy Expo Championship Dairy Product Contest! The only judging contest in North America of its kind held judged the contenders on the 8th of August in Madison, Wisconsin. Landana Sheep Cheese MILD has been awarded the unprecedented opportunity to promote and market this Dutch cheese specialty with a score of 99.45% as “the best of the best” in North America. Landana sheep cheese MILD has a unique, deliciously mild flavour. This mild delicacy ages for many weeks on untreated wooden shelves in cheese warehouses in the ‘Green Heart of Holland’ – the land of windmills and green pastures. The cheese maker continuously turns the cheeses by hand until they have acquired the guaranteed Landana quality. Landana comprises a range of delicious and distinctive Dutch specialty cheeses, loved for its loved for its unique, creamy flavour, for its incredible quality and wide range of flavour- and colourful varieties made from 100% pure cow’s, goat’s and sheep’s milk. Landana is prepared according to the age-old cheese maker’s tradition. The art of Dutch cheese making has been handed down generation to generation – the method has changed very little over time. Landana SPRING MEADOWS: in stores now! 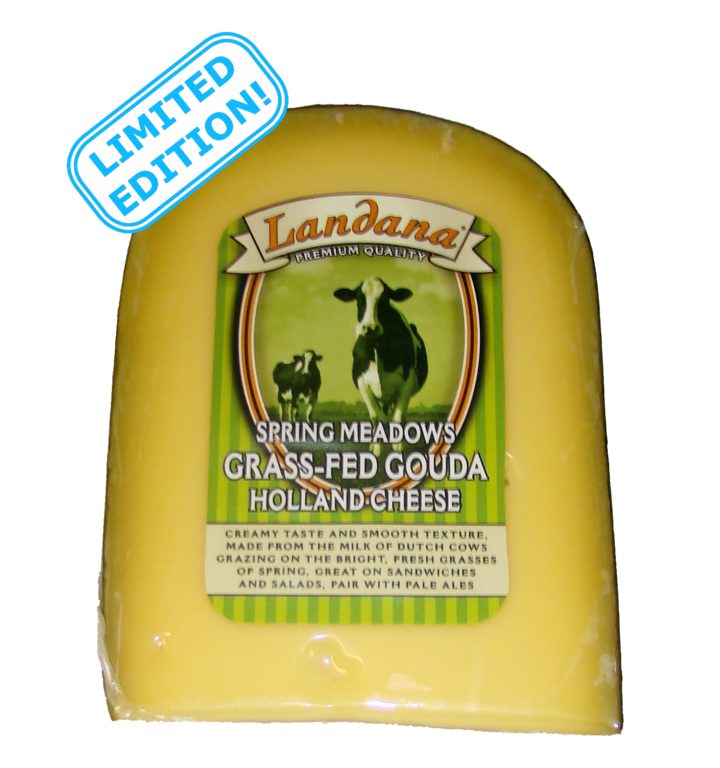 Finally we can taste the Spring in this special edition of Landana's GRASS-FED HOLLAND GOUDA cheese! Made from the first milk of healthy Dutch cows grazing on the bright, fresh grasses of Spring: Landana SPRING MEADOWS or "Graskaas" in Dutch! 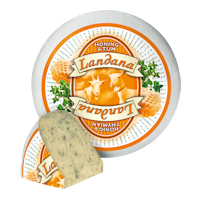 Landana SPRING MEADOWS has a creamy taste & smooth texture. It is traditionally made and ripened on wooden shelves. This cheese suits every occasion because of its delicious creamy flavor! Try SPRING MEADOWS on a sandwich or in a salad, melted over nachos or on a pizza. Of course it cannot be missed on a cheeseboard and try pairing this cheese specialty with a pale ale! Get Landana SPRING MEADOWS now, before having to wait untill next year. This cheese is only available this summer! The Canada Cheese Man, a self-proclaimed cheese lover, writes a blog about as many different cheeses as he can find. He has had almost 60,000 hits on his blog and has almost 900 followers on Twitter. On his blog he also wrote a review about Landana 1000 DAYS, after walking in on it at his local Michael-Angelos Market Place in Mississauga (Ontario, Canada). Coming soon: Limited edition Landana SPRING MEADOWS! When Spring comes in Holland, Landana cows go outside and graze in the grass. 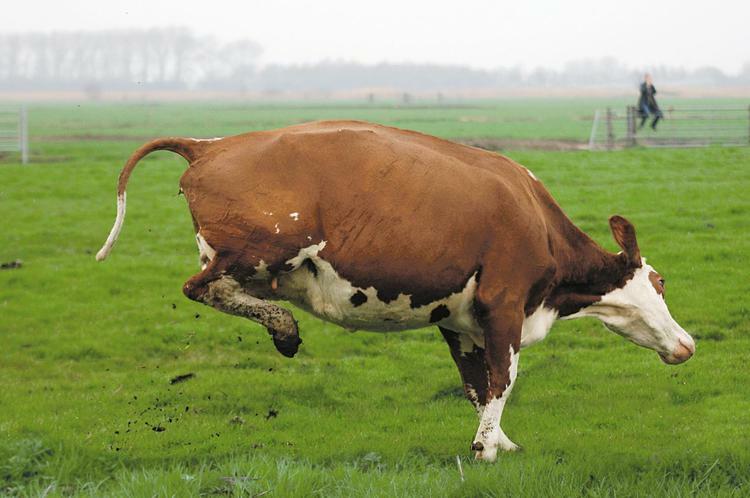 Cows going out run and jump with happiness that they are in green meadows. In Holland we call them ‘dancing cows’. The green meadows offer Landana cows fresh, green grass, lending the milk a uniquely mild and creamy, fresh taste! The cheese made from the first, fresh Spring milk is called ‘graskaas’ in Holland. We celebrate this special time with a unique production run. 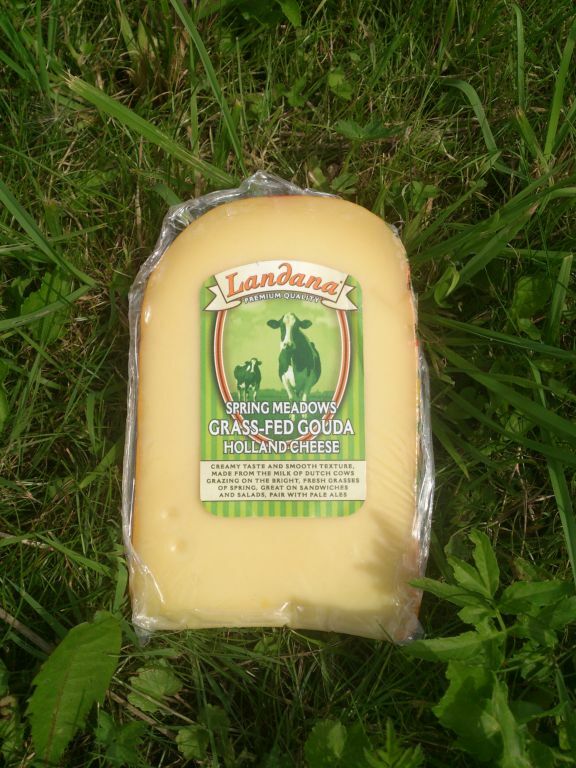 Landana SPRING MEADOWS is a grass-fed Holland Gouda ‘graskaas’ cheese. ‘Graskaas’ has a creamy taste and smooth texture and is even creamier and more flavorful than ‘regular’ mild Gouda, which makes it great on sandwiches and in salads, or to pair with pale ales. 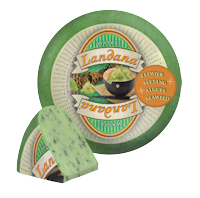 Because the cheese is made from Spring grass-fed cows, Landana SPRING MEADOWS is only available once a year! It takes about 4 to 6 weeks for the cheese to age naturally, which means the cheeses will be arriving in June. Landana SPRING MEADOWS has a Spring-green wax rind. It will be available in prepack and wheels. Get this unique seasonal cheese specialty while you can! The increasing use of smartphones offers new opportunities to communicate with consumers. Through several smartphone applications have online information, photos and videos gone mobile and became within reach at any given moment. Landana is ahead in the communication of her brand and is one of the first in her branch to introduce this modern communication method. By using a two-dimensional barcode, the Quick Response (QR) code, international cheese lovers gain direct access with their smartphone to the digital world of the brand Landana. By simply scanning the QR code with a smartphone it accesses an amount of information about the brand, the different varieties or delicious recipes from the extensive recipe database. The QR codes of Landana can be found for example on product labels, recipe books, display boxes and leaflets, as they are available in stores. It’s an unique way of modern communication for an unique cheese brand. 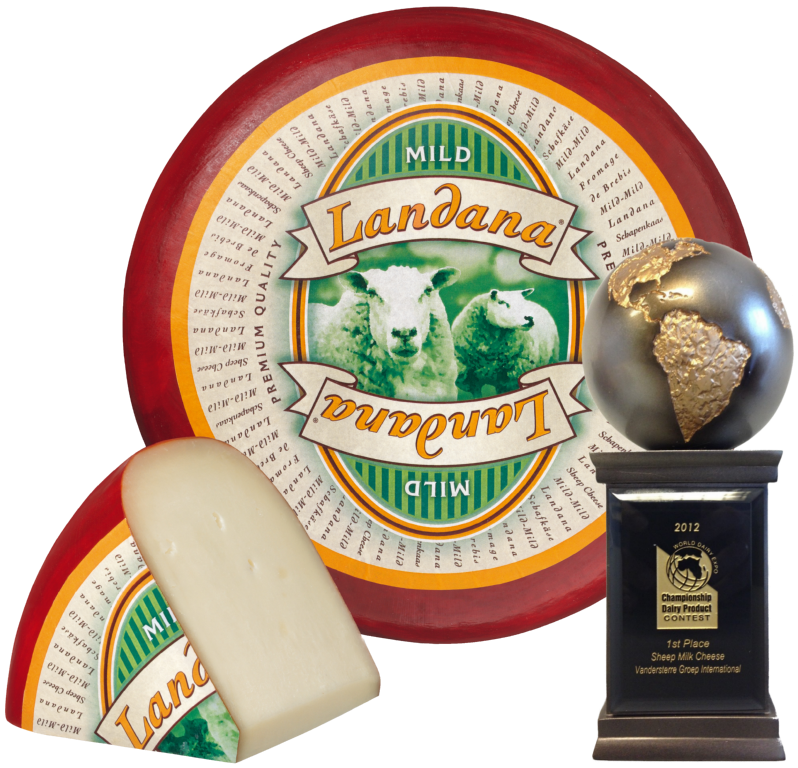 Landana Goat Cheese MILD wins world award for best Gouda-style Goat Cheese! 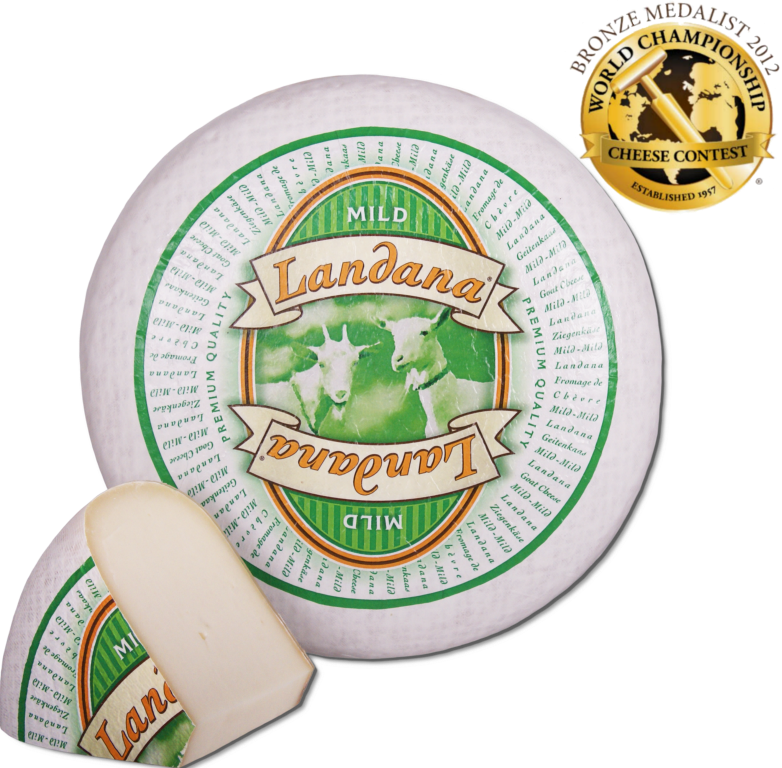 During the World Championship Cheese Contest, in the beginning of March, Landana Goat Cheese MILD was awarded with the bronze medal in the semi-soft goat cheese class. Within this class it even finished as the best Gouda-style goat cheese in the world with an impressive score of 98.3 out of 100. Landana Goat Cheese MILD is, as you can tell by its name, a delicious mild goat cheese, made from 100% pure Dutch goat’s milk, well-known for its special mild, gentle flavor. The World Championship Cheese Contest is a biennial competition held in Madison, Wisconsin U.S.A. and is the largest cheese competition in the world. There are over 2500 different cheeses in total competing from 24 countries. Landana goat cheeses win awards quite regularly, for example Landana Goat Cheese CORIANDER & FENUGREEK which recently won gold during the International Cheese Awards (Nantwich), and Landana Goat Cheese OLD which was awarded with a bronze medal during the World Cheese Awards in Birmingham, England. Landana Goat Cheese MILD may now call itself one of those winners. Landana FENUGREEK takes you by surprise with its delicious, nutty aroma. The long maturing time allows the special flavor notes which fenugreek seeds lend this specialty cheese to develop fully. As a cow’s milk variant, Landana FENUGREEK is following in the footsteps of Landana CORIANDER-FENUGREEK made from goat’s milk, which has already been honored with the international Gold-Award. Landana FENUGREEK not only cuts a splendid figure on the cheese board, it also gives every salad creation that certain something. 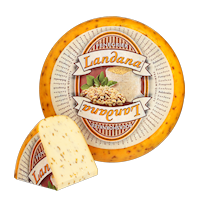 With its lively flavor note, Landana PEPPER TRIO is right at the top of the shopping lists of cheese lovers who like their cheeses especially spicy. While selected pepper varieties impart the unusual flavor accent at the end, they nevertheless give the otherwise pleasantly mild cheese aroma enough space to come fully into its own. Landana PEPPER TRIO tastes delicious on bread and is also at its best in the kitchen. Whether in a salad, au gratin or in a fondue, “Landana PEPPER TRIO” gives every dish its special piquancy. The Landana cheese specialties delight not only the customers at the store counter; even among experts, the premium quality cheese from Holland are always first choice. 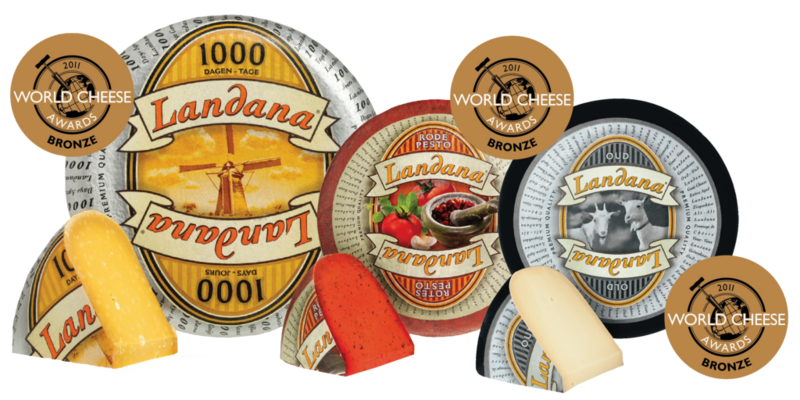 This is why the Landana 1000 DAYS, RED PESTO and Goat cheese OLD flavors were each awarded with a BRONZE Award at the “World Cheese Award 2011”, held at the end of November in Birmingham, UK. The extensive “Landana” range, with its products made from cow’s milk, goat’s milk and sheep’s milk represents the “premium quality cheese from Holland”. The cheese wheels mature on untreated wooden shelves and are turned by hand - only then do they receive their individual seal of approval, provided the cheese master is satisfied with the resulting flavor. The “World Cheese Awards” has been the world’s largest cheese competition for around two decades. At this year’s venue in Birmingham, around 200 judging panel members allowed more than 2,500 speciality cheeses from 30 countries to melt on their mouths before the winners and placed entries were decided. 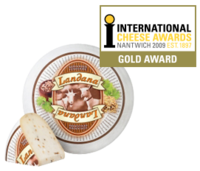 International cheese awards for Landana cheese at the Nantwich International Cheese Awards Show in July. Landana goat cheese CORIANDER & FENUGREEK, made out of 100 % Dutch goat milk, convinced the jury with its outstanding, unique flavor of mild goat cheese with fine coriander and fenugreek, which resulted in winning the GOLD Award in its category; a top result! The award for Landana at this International Cheese Show, attended by 3700 cheeses from 26 countries, are the appreciation for continuously investing in high quality cheese specialties. After winning the “Gouden Tavola” in Belgium at the start of the year, Landana goat cheese OLD once again took away the highest award at an event – this time during the World Cheese Awards, an international cheese-tasting that was held in Dublin (Ireland) at the end of September where Prima Donna maturo received a bronze World Cheese Award as well. No fewer than 90 cheese experts from every corner of the globe traveled to Dublin in order to assess no less than 2400 cheeses from almost every cheese-producing country. 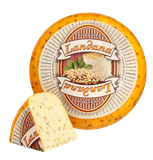 Landana goat cheese OLD made the greatest impression on the jury with its piquant, full flavor and thus won GOLD. We also had good news from England, where our importer organized a cheese-tasting competition for its most important clients. Landana Goat cheese OLD scored the most points in the goat cheese category, which meant it was the winner in its class.